Product prices and availability are accurate as of 2019-04-15 20:17:30 UTC and are subject to change. Any price and availability information displayed on http://www.amazon.com/ at the time of purchase will apply to the purchase of this product. 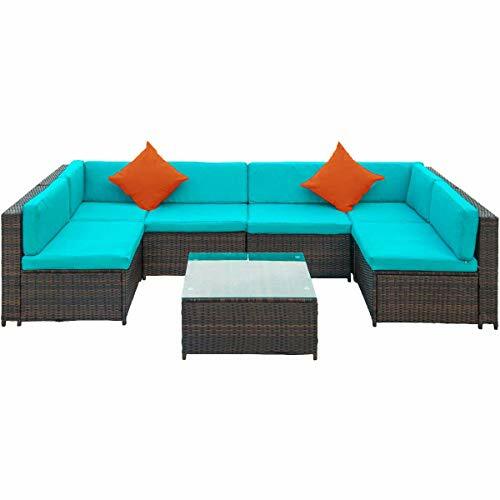 Elegant and sleek, the Garden Sofa Set is the perfect addition to upgrade your outdoor garden or patio. Complete with soft bottom and rear cushion seating, lounge for hours on end in comfort. Constructed into three separate pieces, you are free to customize and adjust each section to create a sofa shape of your preference to suit your appearance standards and properly fit into your space. The warm brown rattan against the light cushioning provides a striking contrast that will give your space a modern feel, along with the spacious 7+ person seating area for yourself and guests to enjoy. Included center table comes with a thick layer of easy to clean glass, making it a perfect surface for food and drinks. 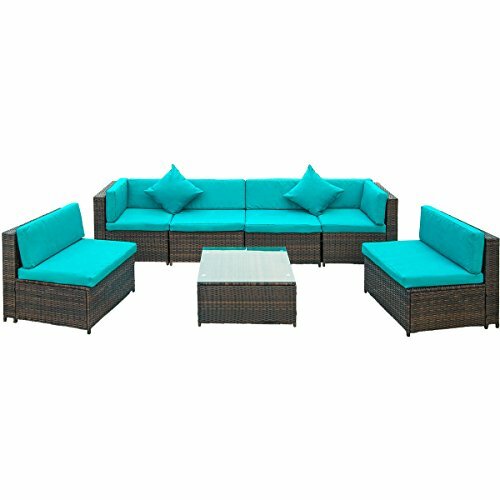 The Garden Sofa Set is ideal for comfortable seating and entertaining outdoors and a great choice to upgrade your space. 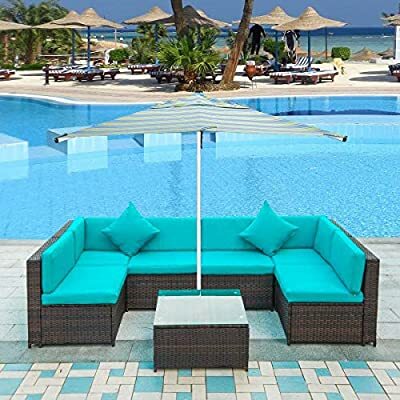 Overall dimension: 26.5" x 26.5" x 26"
Seat dimension: 26.5" x 22.5" x 13"
Seat dimension: 22.5" x 22.5" x 13"
Overall dimension: 26.5" x 26.5" x 12.2"
Set includes 1 x table with tempered glass, 4 x single sofa chairs, 2 x corner sofa chairs, 12 x cushions and 2 x pillows Adjustable Sofa Positioning, multiple arrangement combinations to adjust overall shape to your personal preference Hand woven brown PE rattan - durable and water resistant Easy-to-clean glass tabletop, Convenient machine washable cushion seating Overall Dimensions(Approx. 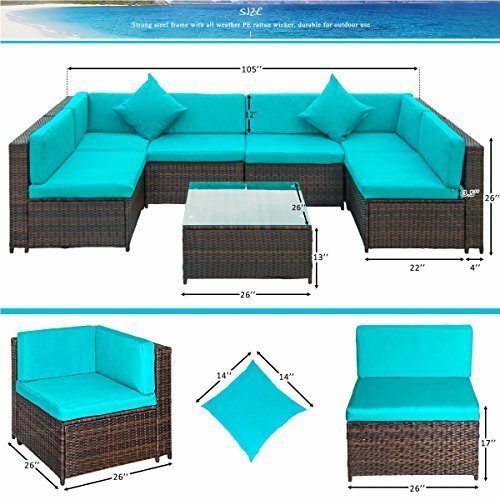 ): Single sofa chairs: 26.5" x 26.5" x 26"(L X D X H); Single corner sofa chairs: 26.5" x 26.5" x 26"( L X D X H);Table: 26.5" x 26.5" x 12.2" (L X W X H); Seat to ground: 13"